Many students complain about wrist pain. This is a common problem for many reasons. You might find that you spend a lot of time on the computer. This seems to be the main culprit, but whatever the reason, how you work with your hands when placing them on the ground may exacerbate the problem. 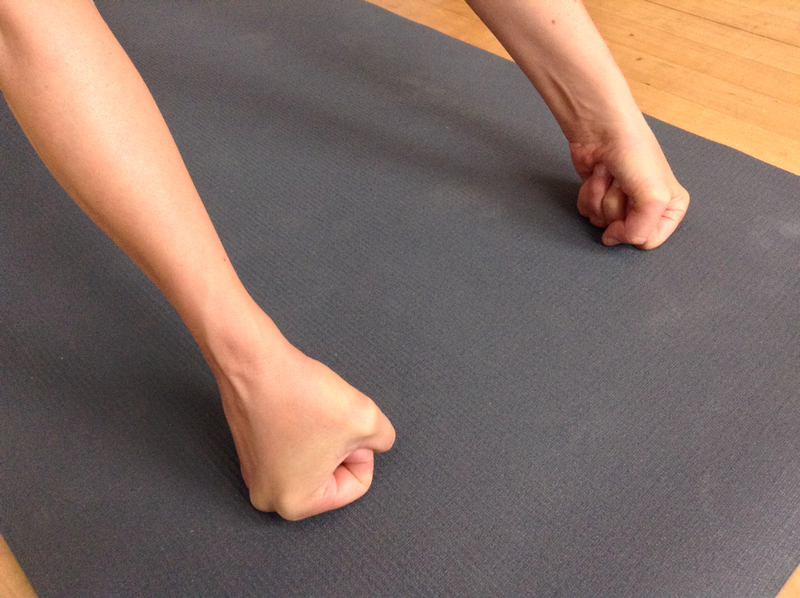 Take a look at the hands in the very common posture Adho Mukha Svanasana (downward facing dog). Here are some points to remember when coming into this pose, or any other pose that is weight bearing in your hands (think hands and knees for cat / cow, or handstand). Spread the fingers apart to distribute the weight evenly throughout the entire hand. Point the middle finger forward. If your experience tightness in your shoulders, point the index finger forward instead. Notice where you put the weight in your hands… Most of us will bear weight in the heel of the hand. Instead, transfer the weight evenly through the base of the fingers AND the base of the palm. Notice that this will even allow you to lengthen and press throughout each finger. Observe the center of your palm. Turn your toes under and go to Downward Dog. 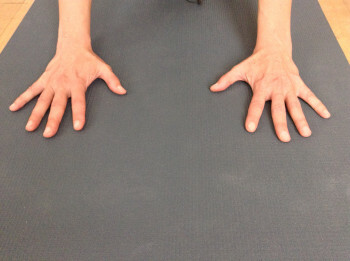 Press the palms down and forward and notice how, from the center of your palm, you can begin to engage up the entire arm. 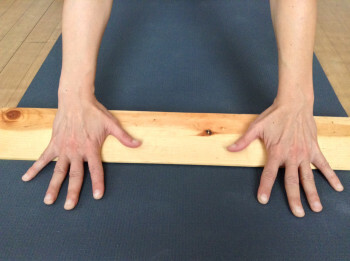 REMEMBER to press into the base of the fingers (the place where a callous may appear) and to lengthen and press into each finger, taking some of the burden off of your wrists. If this doesn’t work and your wrists are still uncomfortable, below are pictures of other ways to use props to alleviate the problem so that you can still work Adho Mukha Svanasana in your practice. 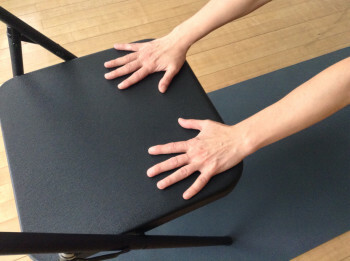 I recommend that you work with these modifications under the guidance of an experienced teacher.